Marlborough House is probably the most famous of the grand houses that lie behind the wall on the north side of the Mall. Indeed, it could also be described as the most notorious. The house was built for Sarah Churchill, the first Duchess of Marlborough. Her husband was the most noted soldier of his day, winning battle after battle over the forces of France's King Louis XIV. However, Sarah was also a force to be reckoned with in her own right. In her youth, she became the friend and confidante of Princess Anne, the second daughter of King James II. When Anne eventually became queen, she showered Sarah with honors and positions. The strong-willed Sarah essentially dominated the Queen for most of her reign. Sarah decided that she and the Duke needed a London residence that was convenient to court. Therefore, they commissioned Sir Christopher Wren to build a house just to the east of St. James Palace. The Duchess laid the foundation stone for the house in 1711 and when she had a falling out with Sir Christopher, she supervised the construction herself. Although a mansion, Sarah wanted it to be plainer than the elaborate palace being built as their country house - - Blenheim Palace. Therefore, the new house was built primarily of Dutch red bricks. The house remained with the Dukes of Marlborough for a century. Then in 1817, the lease on the house was bought back by the crown. It was intended that it would be the London residence of Princess Charlotte, daughter of King George IV and the presumptive heir to the throne. However, in that same year Princess Charlotte died in childbirth. Her husband, Prince Leopold, occupied the house until 1837 when he became the King of Belgium. Queen Adelaide, consort of William IV, lived in Marlborough House after her husband died. She lived there for 17 years. At the instigation of Prince Albert, Queen Victoria's consort, Marlborough House was next used as an art college. In 1863, Queen Victoria's eldest son, also called Prince Albert, married Alexandra, Princess of Denmark. It was felt that they should have an establishment of their own and so they were given Marlborough House as their London residence. The house was expanded and remodeled for this task. Bertie, the Prince of Wales, was no Victorian. Seemingly, everything that his mother viewed as a vice was something the Prince reveled in. He loved balls, socializing, gambling and the pleasures of the flesh. Around him gathered a group of friends and acquaintances who were rich, often titled and eager for adventure. To Queen Victoria's horror, the “Marlborough House Set” were often involved in public scandals that filled the newspapers. 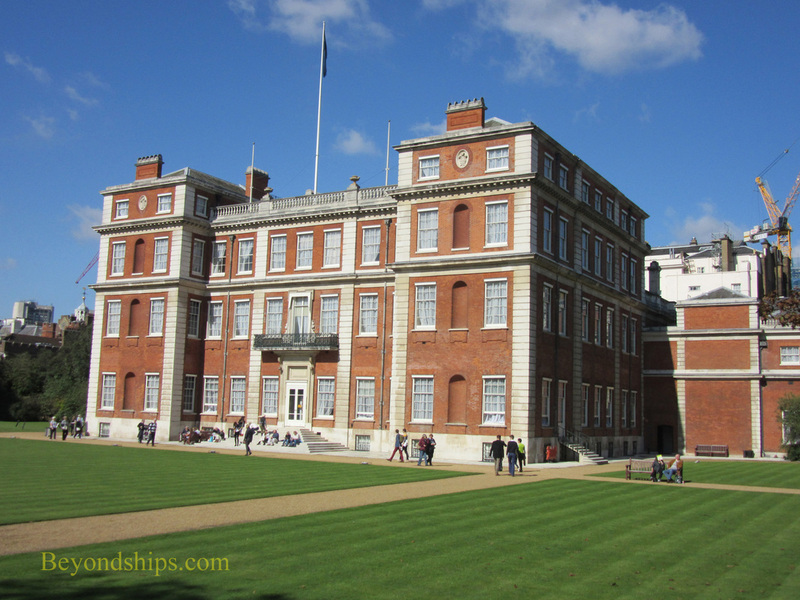 When Bertie became King Edward VII in 1902, Marlborough House became the home of his second son, Prince George and his wife Princess Mary of Tek. George has been described as the last of the Victorians and so Marlborough House was no longer a center for scandal. Prince George eventually became King George V. When he did so, Marlborough House once again became the home of his mother Queen Alexandra. After the king's death, Queen Mary returned to Marlborough House and lived there until her death in 1953. Six years later, Queen Elizabeth II placed Marlborough House at the disposal of the government for use by the Commonwealth. It continues to fill that role today, acting as headquarters for the Commonwealth secretariat and for meetings and conferences of Commonwealth leaders. ​While Marlborough House is somewhat plain outside, it is quite grand inside. Notable features include the giant murals by Louis Laguerre that cover the walls of the staircases and the Salon. Commissioned by the First Duchess of Marlborough, they naturally depict her husband great battles. There are numerous other paintings and antiques. The house is no longer a royal residence but rather a place of government. Thus, it no longer reflects any one person's personality. However, the rooms of the ground floor are beautifully elegant. They may be used for conferences and meetings but they still retain the character of the state rooms in a palace or stately home. The East Front of the building faces onto the garden. Between the house and the wall that forms the boundary with the Mall is a large green lawn around which are gravel walkways. 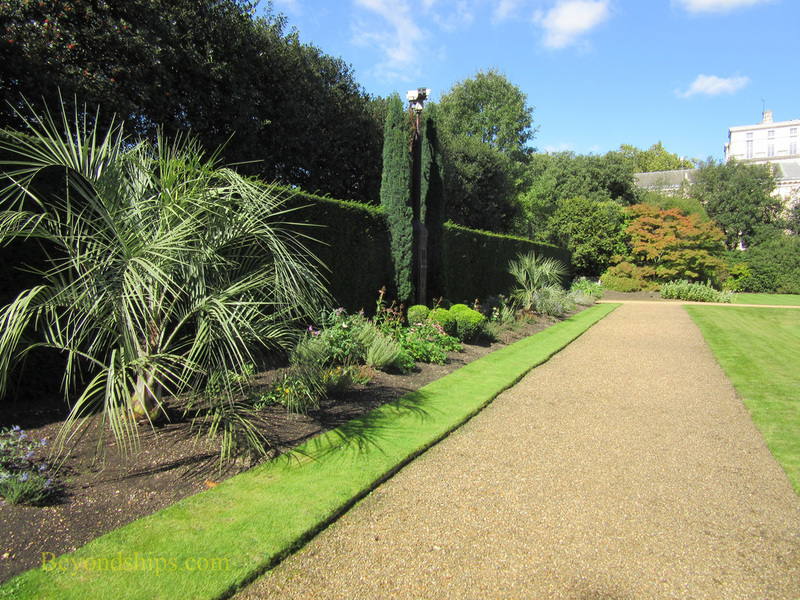 Two features of the area are Queen Alexandra's pet cemetery and Queen Mary's thatched summer house. The latter revolves to keep out the sun. Marlborough House is not generally open to the public. However, 90-minute tours of the house can be arranged through the Commonwealth. The house has also been open to view during the annual London Open House weekends.